St. Louis — HOK has been named one of St. Louis’ 2018 Top Workplaces by the St. Louis Post-Dispatch. The firm placed #19 in the mid-size company category. The honorees are selected annually based on employee feedback gathered through a third-party survey. The anonymous survey measures several aspects of the workplace culture, including alignment, execution and connection. HOK’s St. Louis practice has nearly 200 people working on a range of projects across the country. It was established in 1955 as the firm’s founding office. McDonald is part of a leadership team that includes principals Eli Hoisington and Angelo Arzano. 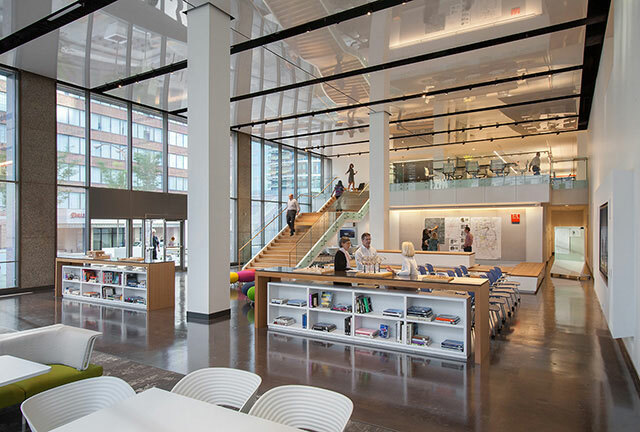 Current and recent design projects for HOK’s St. Louis practice include the 4220 Duncan and @4240 buildings at the Cortex Innovation Community in St. Louis; the BJC Healthcare Washington University School of Medicine Campus Renewal Project in St. Louis; and Destination Medical Center’s Discovery Square (in association with Mayo Clinic) in Rochester, Minnesota.